“In 2016, we announced our vision to become a global supplier for the gaming industry, while reiterating our commitment to maintaining our leadership in the Video Bingo market. Only two and a half years later and we have seen the results on our stand at the ICE trade show in London; that the transformation process we announced has already been successfully completed. This has been possible thanks to the tremendous work of the Zitro team, and the trust that so many customers have shown us from many countries around the world, and who have given us the opportunity to demonstrate the exceptional performance of our products. Today, Zitro continues to be a leader in Video Bingo, but is also already a recognised provider for offering the best Video Slots of the moment, including its LAP Link King and Link Me with their impressive panoramic sign. I am pleased to announce that Zitro is now a safe bet for any operator in the world”, says Johnny Ortiz, founder of Zitro. The Zitro stand was extremely busy at all times. In addition to Link King and Link Me, which are already essential games for any casino, located in any geography, the new multigames LAP Link Shock, Hit me up! Bomb and Hit me up! Dynamite collected a lot of praise from the visitors for its impeccable and attractive presentation, as well as the new versions of Blazing Pearls and Guns & Gold, with more and better games than in their previous editions. The standalone multigames Pick & Win, Hot Deal, Smart Spins and Spin Hit were presented in their new versions, also with more games in their menu, thus ensuring a longer playing time of the customer on the machine and protecting, thanks to its diversity of options, the investment of the operator. Sebastian Salat, CEO of Zitro explains: “At Zitro we understand operators because we have a large number of machines in operation ourselves. We know about the need to offer machines that are profitable and that involve a risk-free investment. That is why we have presented new versions of our great machines, such as Link King, adding even more games to their menu, to make those formidable products even better. We are not satisfied with making high-profit machines, but we are continuously and almost obsessively looking for the excellence of high and consistent performance, to help the operator that already trusted or will trust us “. Zitro’s Video Bingo offer also continues to grow and at ICE the company showed new games in its standalone category, as well as new interconnected games, such as Power Bingo Link. The growth of Zitro’s games library does not stop, which is evidence of the firm commitment to maintain its undisputed leadership in this market segment. Zitro’s global strategy involves the distribution of its games through multiple channels. 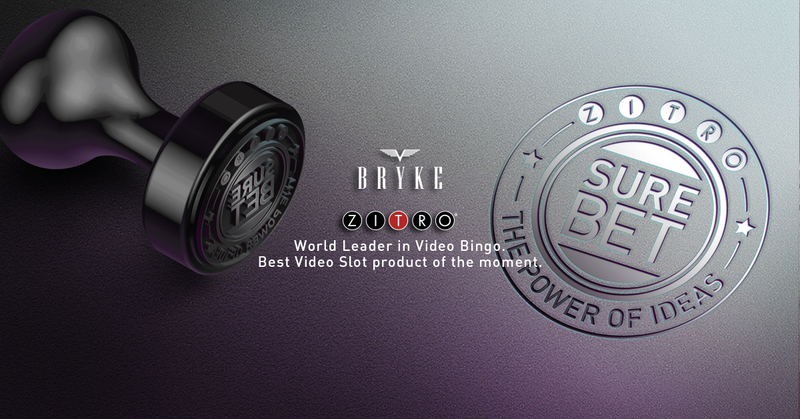 To the growth of its market share in the casinos, there is also the growing presence of its contents in the online casinos of the world, to which Zitro now will be able to offer not only its Video Bingo library, but also the first games of Bryke online Video Slots and its renewed offer of social gaming. At ICE, Zitro presented its new social casino Let’s WinUp! available on the iOS and Android platforms. With Let’s WinUp! users can enjoy the attractive Zitro games, while the company can benefit from the direct relationship with consumers to better understand their needs and tastes.